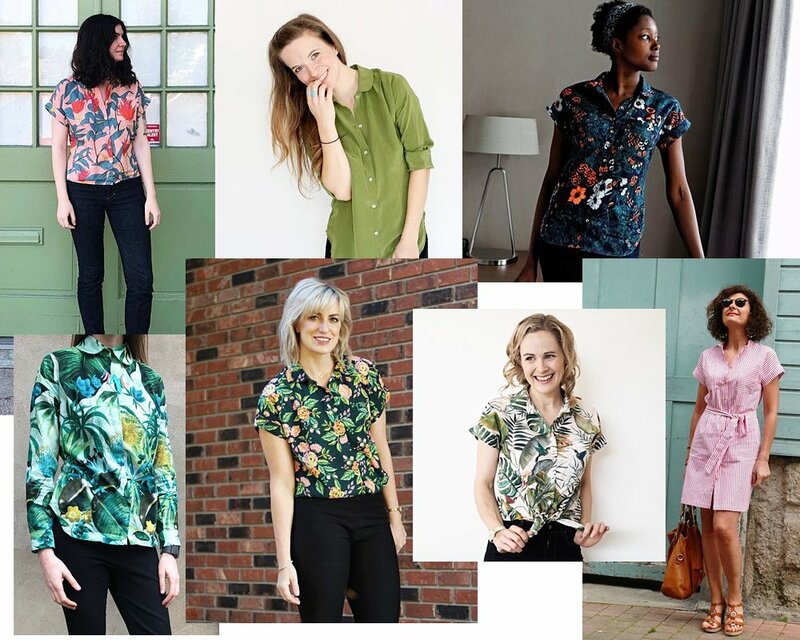 We love the tropical feel of these shirts by Catherine, Tasticottine (FR), Caroline, Anna Zoe and Lauren. If you’re not a print person, you might love a solid shirt in a fresh color, like this one with long sleeves by Amy Nicole. In a silky fabric like a crepe or rayon, it’ll be comfortable all day long. Another idea to enjoy Mélilot all summer, it’s to turn it into a dress! 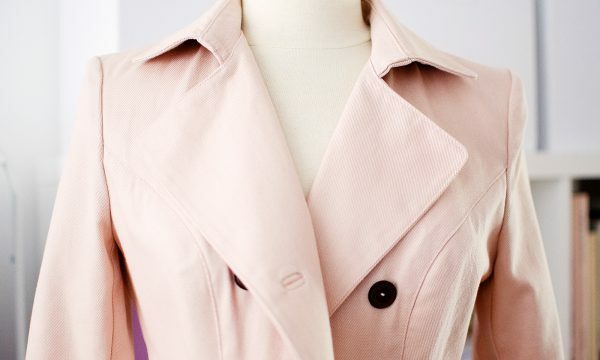 To do so, you only need to lengthen it using the “lengthen/shorten” lines that are already on the pattern. Find examples of Mélilot dresses on Self Assembly Required, Le Coussin du Singe (FR), or Bee Made (FR) (picture). 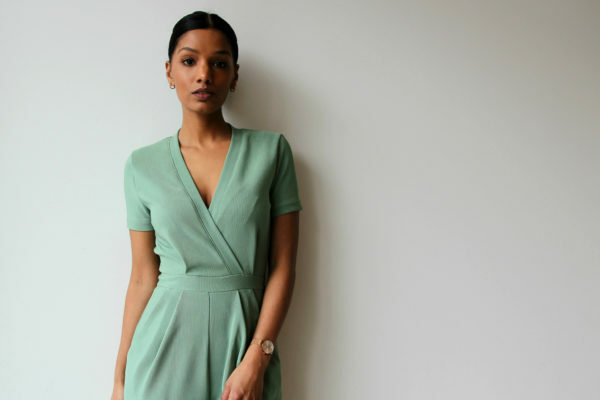 While a button-down shirt might seem too formal for a vacation, a Mélilot worn open would be perfect as a beach cover-up, or tied at the waist to warm up a sundress when it gets late. You can also follow the lead of Doudi (FR) and Jane who turned it into a pop-over!